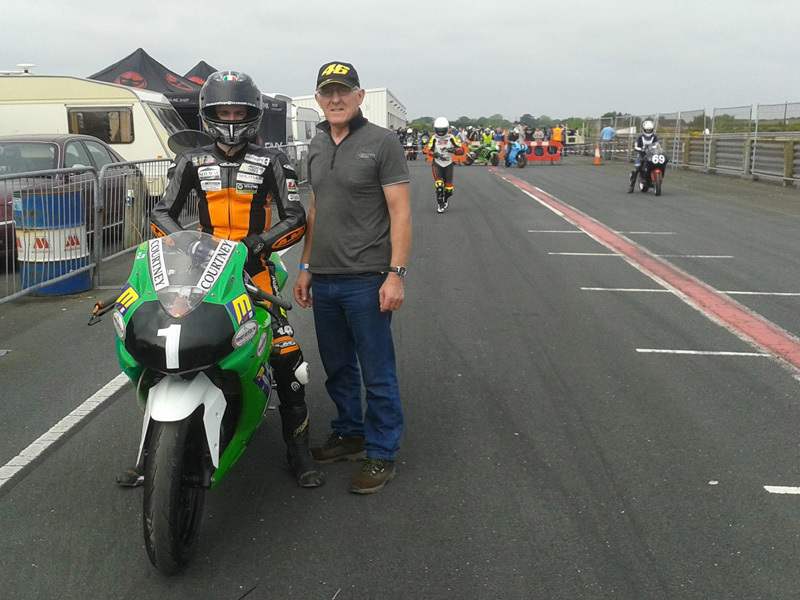 As there are no British Championship races for the next few weeks, Connall Courtney dusted off the bike from last year and gave it a run out on Saturday at the Irish Championship round at Kirkistown. 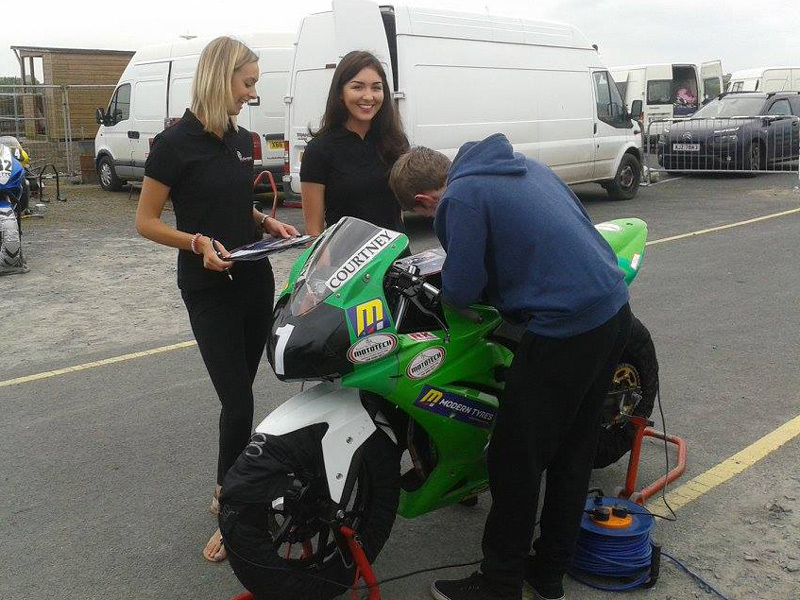 Connall got down to business in the qualifying pretty quickly on the Ninja Kawasaki, setting himself up for pole position for Race 1. 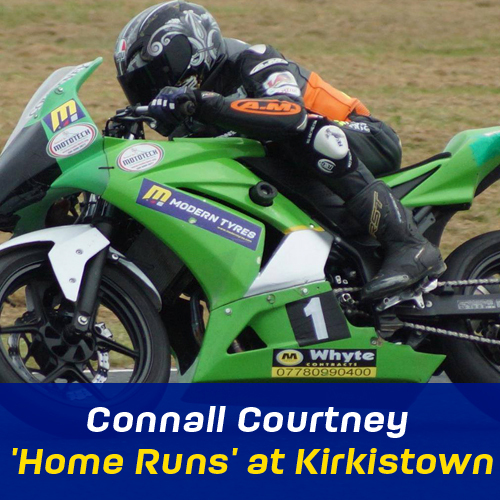 After a bad start which set him back into 8th position with a lengthy gap between himself and the leaders, Connall, after getting back his rhythm, quickly sped back up through the ranks to get his lead back and cross the finish line in 1st Place. 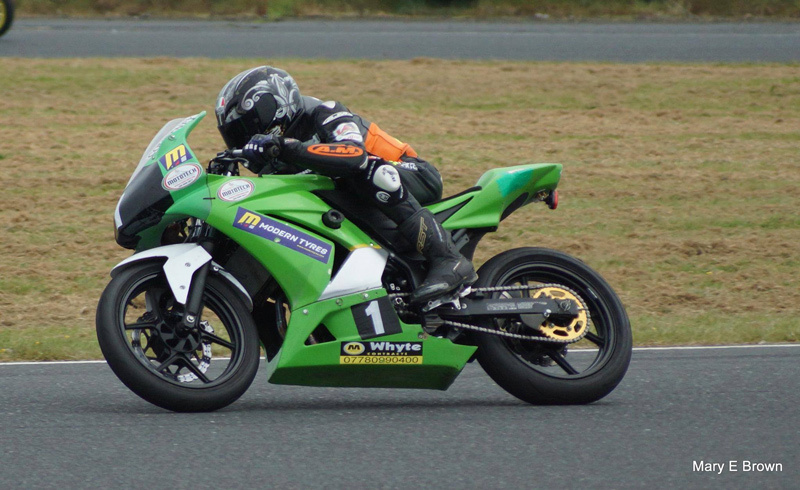 Race 2, Connall got a much better start and from 3rd on the first lap he soon took over the lead again and clocked up a double win on the day. 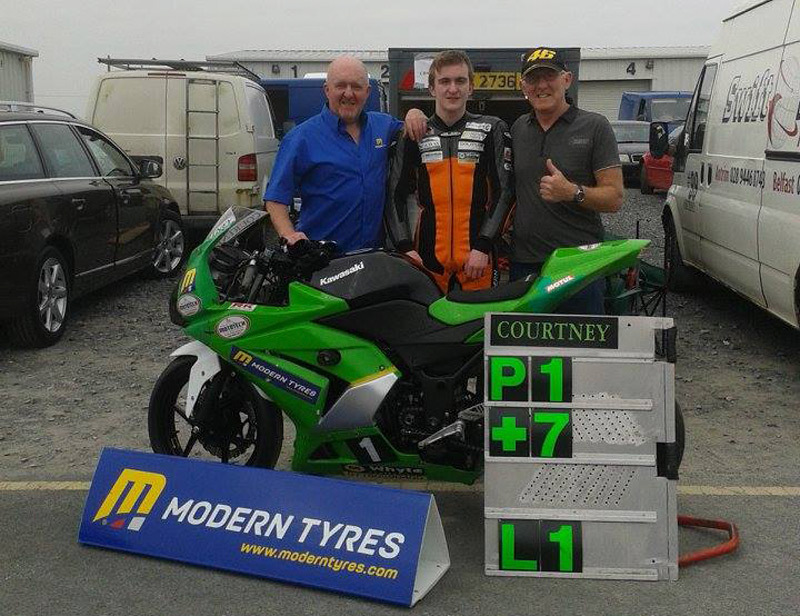 Modern Tyres are proud to be associated with Connall Courtney Racing and look forward to a successful future with this rising star.